Dr. Alan Bromley died on 10th October peacefully at home aged 79. 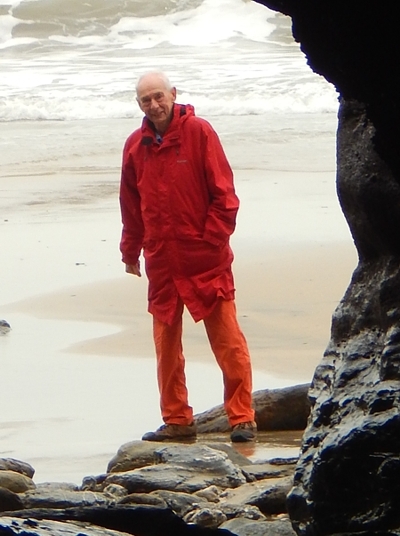 Alan was an undergraduate, research student and lecturer at Aber, before moving to the School of Mines in Camborne in 1969. Alan by the cliffs at Portreath, Cornwall.